Alaska Airlines’ Shaunta Hyde presents 1 million miles to Barry McConnell, Make-a-Wish Alaska and Washington chapter president and CEO, and Make-A-Wish board chair Mitch Hansen before a Mariners game on Friday, Sept. 26. Witnessing a child’s wish come true is one of life’s true joys. On Friday, I was humbled to present Make-A-Wish Alaska and Washington with a gift of 1 million miles so that more children can experience their heartfelt wishes. 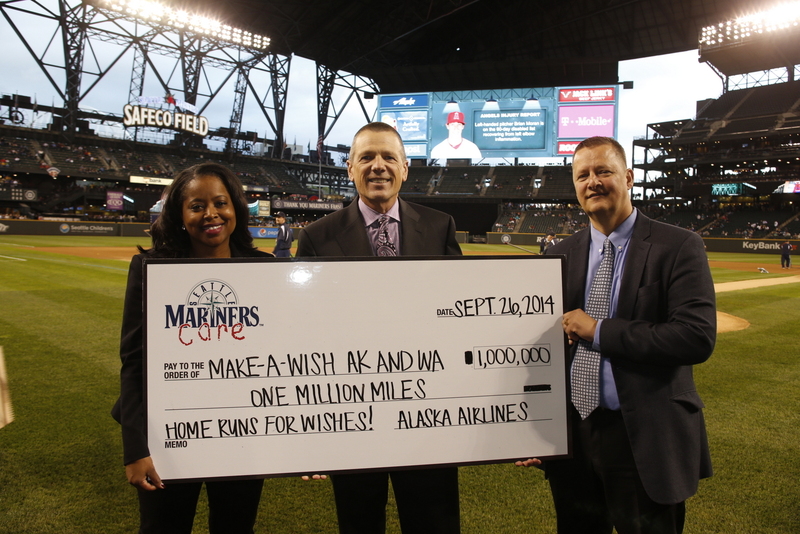 In partnership with the Seattle Mariners, Alaska Airlines has been accumulating miles for our local Make-A-Wish chapter each time a Mariner hits a homerun since 2010. The “Home Runs for Wishes” program receives 10,000 miles from Alaska for each home run, and 40,000 miles for a Mariner grand slam. This season has been an amazing one for the M’s, which means more miles for Make-A-Wish and more dreams turning into reality for children in our region. Our partnership with the Mariners dates back more than a decade, and Alaska has supported Make-A-Wish Alaska and Washington for nearly three decades. Last year alone, members of our mileage program donated an incredible 19 million miles to our local Make-A-Wish chapter. Our 6,000 Seattle-area employees work hard to make each one of those trips special from the time the kids arrive at the airport to when they touch down and beyond. Alaska Airlines’ giant blue Genie dubbed the “Spirit of Make-a-Wish” plane flies throughout the carrier’s route network. 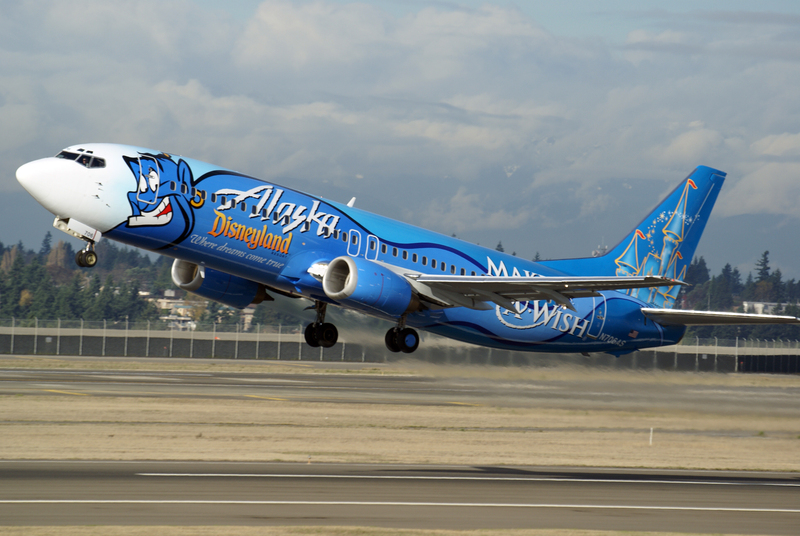 First introduced in 2006, the Boeing 737-400 celebrates the long-term partnership between the Make-A-Wish Foundation, Disneyland Resorts and Alaska Airlines. Next time you’re at Seattle-Tacoma International Airport, keep an eye out for our “Spirit of Make-A-Wish” Boeing 737. With a little luck, you will experience the joy of seeing a child board his or her flight to their dream location. To donate miles to Make-A-Wish and other causes, visit www.alaskaair.com and click on the “Mileage Plan” and “Charity Miles” links.